At the Shir Ami Religious School at Temple Judea we’re always learning something new and having a great time with our friends! 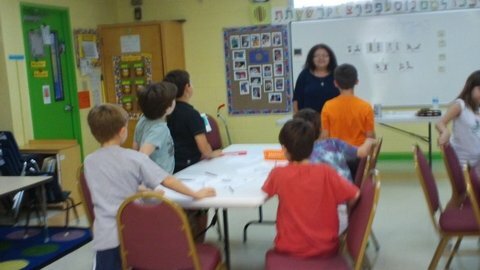 Miss Mikki’s Kingergarten class learned about Shabbat. 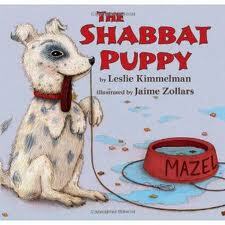 They read “The Shabbat Puppy” and discussed how to celebrate Shabbat at home and at the synagogue. Students also had fun making Kiddush Cup Necklaces and beginning to work on their Shabbat Mobiles. Miss Diaz’s First Grade class studied Parshat Lech Le’cha and the story of Abraham and Sarah. The students made Suitcases to demonstrate they are ready to go and do what God wants them to – just like our patriarch Abraham! 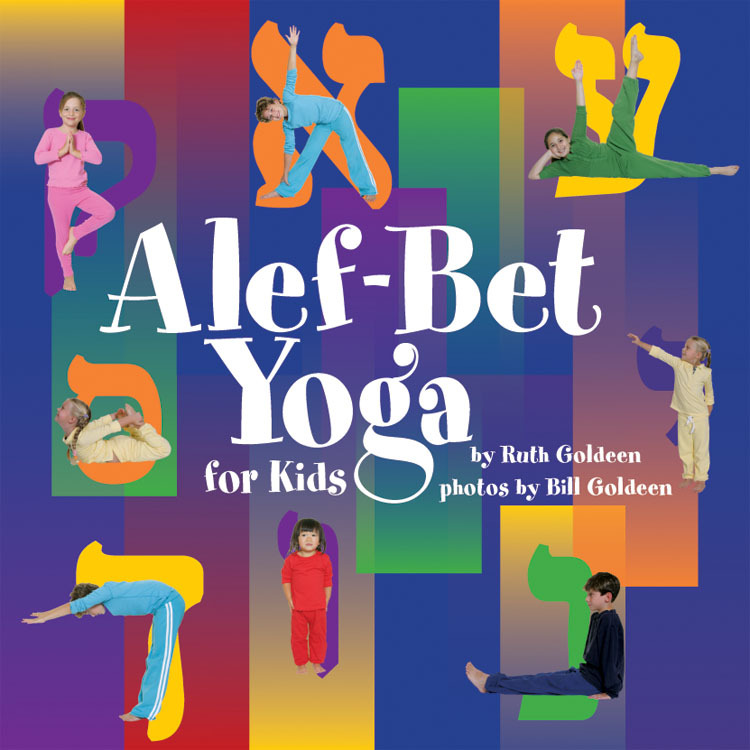 Mrs. Rodriguez’s Second Grade class learned the Hebrew letters “Aleph” and “Mem.” They had fun doing Music with Benny and practicing Aleph Bet Yoga. Rabbi Young and Morah Rachel’s Third Grade class added the words “board, “chair,” “table,” and “door” to their Hebrew vocabulary. Students also had a great time doing Music with Benny! Third graders learned about Israeli astronaut Ilan Ramon and as well as a bit about the Israeli desert city of Beersheva. Sounds like full day! Mrs. Bulbin’s Fourth Grade class played Tic Tac Toe in teams using Hebrew vocabulary words from previous lessons. They also learned two new songs that incorporate their classroom vocabulary. 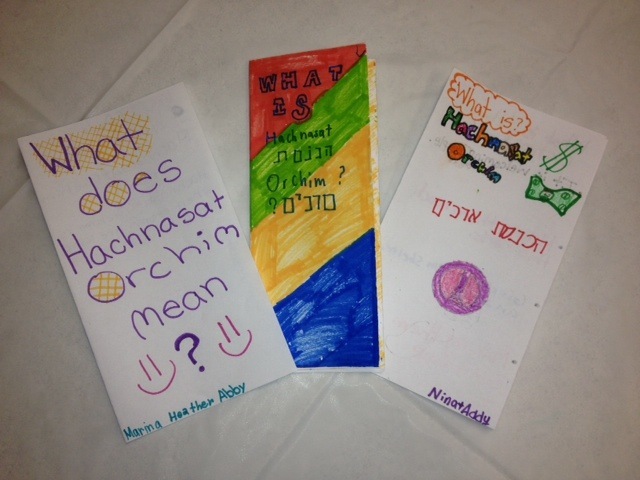 Maddie and Justin’s Fifth Grade class made brochures about Hachnasat Orchim – the mitzvah of welcoming guests or strangers. 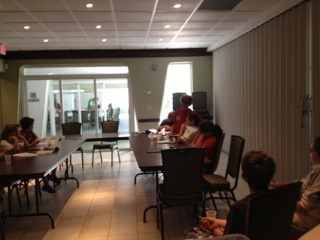 Sarah’s Fifth Grade class read “Joshua Sends Spies to Canaan” and also discussed the importance of Hachnasat Orchim. Mrs. Goldberg’s Fifth Grade class studied and practiced the Avot V’Imahot prayers. Students learned the melody for Shabbat as well as the special movements for the prayer. Lara’s Sixth Grade class debated topics that affect Israel as well as Jewish people around the world. The students were split up into two teams and three students made up the “beit din” – or rabbinical court. As you can see we had an AWESOME day! Remember this Sunday, November 4th is the Fifth Grade Family Program. We’re looking forward to seeing all fifth graders and their families for a fun and engaging morning.